Chicago! | RV There Yet? 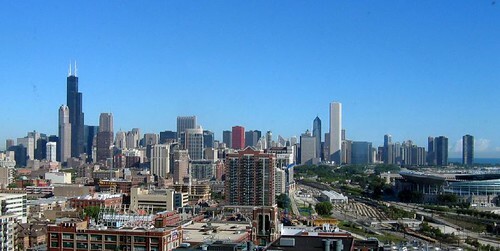 We’ve returned from Chicago- and my, oh, my – what a lovely city! We arrived mid-morning on Friday the 2nd and checked into our room at the Hyatt Melrose Place (24th floor!). We had a great view, and after we gawked at the skyline, we headed out to explore the city. And SO MUCH TO DO!!! Navy Pier, Michigan Ave (and the Magnificent Mile with store after store after store from Cartier to Gap), Millennium Park, Grant Park and Buckingham Fountain, the list goes on any on. From the top of the Hancock Observatory (94 floors above the city) to the Lincoln Park Zoo (free!) we only managed to scratch the surface of all that IS Chicago. The parks were amazingly beautiful, the stores outrageously expensive (ah, the blessing of window shopping), the fountains spectacularly designed, and our two day Chicago adventure was wonderfully memorable. We walked and walked and walked, and I have a couple of blisters to prove it! We were blessed with beautiful weather and a wonderful time of celebration of our 34th(!) anniversary. Here are a couple of the pictures from the weekend – and there are others here if you’d like to check them out. 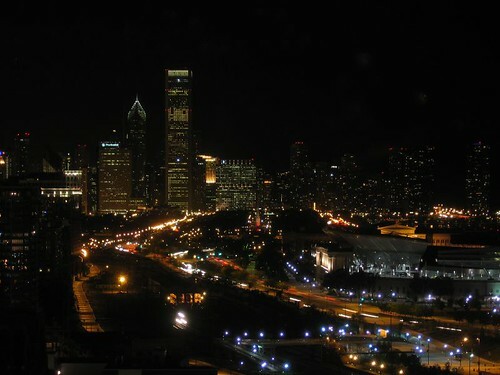 And this is the nighttime view….. 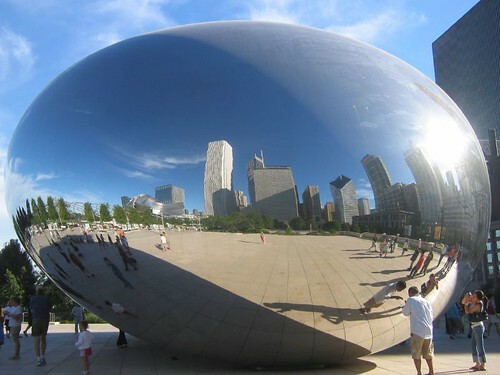 There are parks galore in Chicago – and this is just one of the sculptures found in Millenium Park. Very Cool! So…..if you ever get the chance to see Chicago – go for it! Watch out for the parking fees, though. While we got a great deal on the hotel room (thank-you Price-line) the parking garages cost us $40.00. Scheeeeez! Previous PostAnother Month is over!Next PostHalf Done! happy anniversary! (a little belated) sounds like you had a great time in Chicago. Mike and Robyn have a new baby girl–Molly Regan. Some pics on my blog.